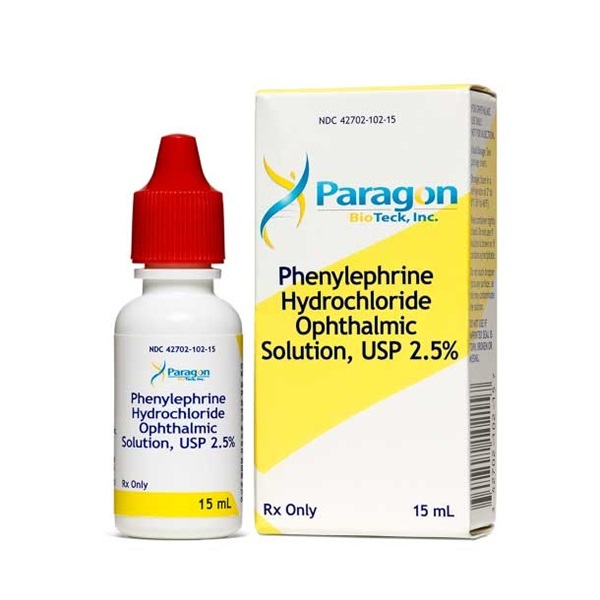 Sterile Phenylephrine 2.5% ophthalmic drops in 15mL dropper bottle. Vasoconstrictor. Manufactured by Paragon BioTeck, Inc. NDC: 42702-102-15. Comes as singles. Product requires refrigeration.